To get the most out of your SharePoint environment, you need to know how it’s being used and if it’s creating a return on your investment. Webtrends Analytics for SharePoint was designed specifically to understand the details of SharePoint and is used by more than 300 leading enterprises worldwide to measure user behavior and increase ROI. Validate that SharePoint is delivering results. Making an investment in SharePoint can involve multiple teams and stakeholders, complex design, deployment and training, and the migration of thousands of critical assets into the platform. With such a commitment, it’s important to know that it’s performing as expected. 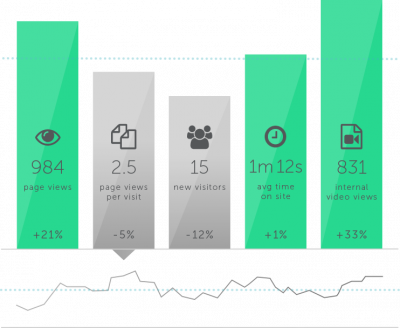 With Webtrends, you can prove exactly how it’s delivering value to your organization. Prepare for reinvestment and upgrades. With each successive version of SharePoint, Microsoft has extended its core capabilities and performance impact. Webtrends can help you baseline SharePoint performance, identify preferred content, processes and design features as well as define clear objectives before and during your migration to the next version – as well as across hybrid or mixed deployment environments. Webtrends is a Microsoft-preferred analytics solution built from the ground up for the nuances of measuring performance of your SharePoint environment. What if only 40 percent of your employees viewed a required video message from your CEO posted on the intranet? 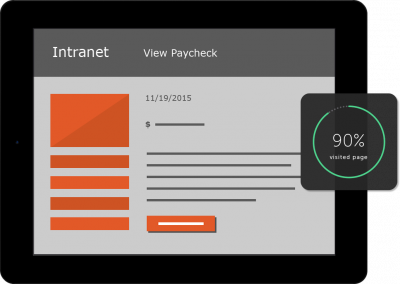 Or if 90 percent of your employees only visited the intranet to view their paystubs? Webtrends SharePoint Analytics can help you clearly identify usage challenges, develop targeted strategies to improve end-user engagement and benchmark performance to drive holistic organizational productivity.